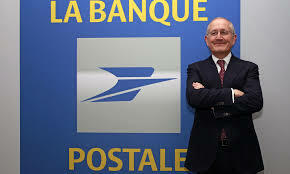 La Banque Postale & their lies ! Well, I was hoping this issue, would not reach a blog – but alas – I overestimated the ability for the French to solve their problems simply. As some of you can recall, I was robbed last summer, and followed up the story with police men interviews, and a background of the criminal elements that have used Paris, as a cash cow – (the tourists) . I now, must follow up this, with the Bank, refusing to refund me 100%, of the monies that was taken from me – at the Bank’s atm machine- with video backup !! I was told, to fill out a form to get the money refunded – did it. Was shocked, they only returned 250.00, and kept 150.00 for themselves. 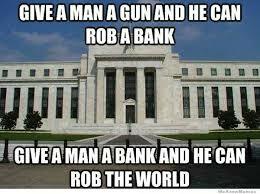 I went to the bank’s head branch at 57 Rue Jean Jacques Rousseau, Paris, to complain about this. When the employee told me, that its in the contract- they do not refund 100%, if you use a street ATM- I said to her “show me the clause”. For 30 minutes, the French banker- looked at the contract, wanting to prove ‘the stupid American’, wrong … and this American, proved – this ‘clause’, is nowhere written…so they are lying, to me, and all the other victims. I know, the French love to talk – (its their first national defense mode), but I am not much of a talker – especially since, French is still a challenge to me in many ways). So I decided to write this letter, to La Banque’s President instead, and send copies to many people and newspapers. I received your letter, and had it translated into English. I am SHOCKED by your non – professional response. I thought this issue, (150,00),could be solved easily, but I overestimated the bank’s legal knowledge. 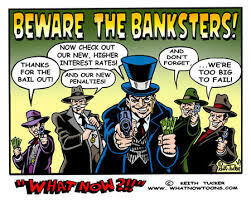 I was an Investment Banker for Citibank for 10 years, and NEVER, did we treat our clients, like you are treating me. I thought I made it VERY clear, in my last letter – the contract I signed with Banque Postale – does NOT STATE ANYWHERE THE RISK OF WITHDRAWING CASH AT CERTAIN KINDS OF CASH MACHINES! I spent one hour, with your employee in the bank, and she tried to find this “clause”, and it does not exist in your contract. 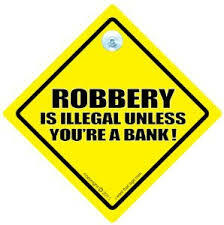 Based on these facts – I now consider your banque defrauding me and many other people! Another employee, told me, the bank has insurance for this kind of robbery, and once I send a copy of the police report, I should get 100% of my funds returned. There is no legal defense for you to steal my money, unless, you practice discrimination against Americans. I should not have to become a victim AGAIN, of another robbery – first from the punk Romanians that assaulted me outside your bank, and now, a victim of discrimination from your banque. I feel it very necessary to share my horrible experience with the American Embassy. The Embassy, can warn Americans of your illegal treatment – and discriminating polices. I also, feel the need to inform the FBI, since, where all this stolen monies go to, may fund some terrorists venture. Since this may be an issue of national security – I also, feel the need to warn the political leaders in both countries, of your actions. I am sad, this issue, has been not resolved.